Based on the true story of Alexander Selkirk, who survived alone for almost five years on an uninhabited island off the coast of Chile, The Mysterious Island is considered by many to be Jules Verne's masterpiece. Here is the enthralling tale of five men and a dog who land in a balloon on a faraway, fantastic island of bewildering goings-on and their struggle to survive as they uncover the island's secret. Mr. Kazallon thought that passage on a ship from Charleston to Liverpool would be a charming way to return to his homeland. If only he knew! A disaster in the hold, storms and sharks are just some of the many travails that will beset passengers. Receiving a letter from an old colleague, mining engineer James Starr sets off for the old Aberfoyle mine. From the outset, mysterious happenings start to occur around the main characters, attributed initially to goblins and firemaidens. 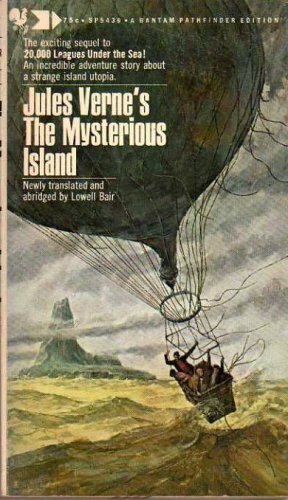 Jules Verne's classic science fiction adventure about Professor Liedenbrock and his nephew Axel who set off to Iceland with their guide, Hans, and enter the weird and wonderful world deep beneath the surface of the earth.